Yes, there is campus placement. The average salary is INR 20,000. Alumni network is good. You should have at least 50% marks in your 12th board exam for applying to B.Sc computer science. There is no entrance exam. Life in college is good as it has a place for parking but doesn't have a canteen in college so you will have to go out of the college to eat. The quality and method of teaching are not so good as the staff gets change mainly every year. INR 22500 is course fee for BBA per year. The scholarship option is available. too. The average salary is from INR 150000 to INR 300000. The campus is quite good and qualified. Eligibility criteria for BBA are 40 percentage and the admission procedure is that you will have to fill the form manually. You will enjoy the college life here, as here celebration is at its peak. There is a student society named SHIV YODHA. The teaching staff is good, there are many experienced teachers. Our daily routine is of 11:30 am to 2:30 pm (who practical) 11:30 to 5:30 with practical. The college premises is good overall experience is nice. The course fees are about INR 40000 for 1 year. Yes, there is scholarship known as EXPLORER. Loan plan is available. By yes bank. We had direct admission process which was quite quick. I have given COMMON ENTRANCE TEST(CET). Here cutoffs usually don't matter as there is direct entry admission. The fees here are very affordable and is only 33k. It is pocket saving, also the college offers various scholarships based on H.S.C metrics, the average number of students who get a scholarship is 40%. If you need loan, it's easily available by HDFC Bank, Bank Of Maharashtra, the funds are directly credited to college's account and can be transferred to other colleges as well if you change the college. Various companies have their walk-ins here, some of them are Syntel, Wipro, Hp, etc. The salary ranges from 15k-30k based on your academic merits and your confidence while your face to face interview round. The college is situated in the middle of the city, which makes it easier for the students to reach here. The faculty here is very supportive and walks you through the syllabus very easily. Admissions are on the basis of merits, no entrance exams required. Admission procedure is the easiest step, you just have to fill an application form, take the signature of the authorized person and submit the fees in form of Demand Draft to Bank Of Maharashtra Under the College's name. In all a very supportive college along with the education. Many festivals celebrated in our college. Many cultural activities are held at this college. Life in this college is good. Class timings are ok. Project work they give a lot, exams are very strict, they give us lot of assignments. The quality of teaching is ok. Overall good college. My course fee varies from the aided & non aided. Aided fees are INR 10,000 per annum & non aided fees are INR 30,000 per annum. There are many scholarship opportunities. Most of the student get selected for the scholarship. Yes, loans are available in state bank of India. There are no internship opportunities in this college. Placements are not good at this college. There are many clubs and association and the main event in campus is sports and cultural. 75% of the attendance is necessary and the assignments and projects are given by the faculty, the quality and the method of teaching is good. The course fee is INR 40000 per year. scholarships are provided by the college and the 20% of the student get the scholarship. I got selected in TCS through campus. Companies come from IT field and provide the package of INR 2 lakhs per annum. Admission is based on first come first served basis and there is no entrance exam. AS FOR MY COLLEGE TO BE ELIGIBLE FOR B COM COURSE YOU HAVE TO FIRST SUBMIT YOUR 12TH MARKSHEET, SCHOOL LEAVING CERTIFICATE AND CHARACTERCERTIFICATE TO THE COLLEGE AFTER THAT THE COLLEGE DISPLAYS THE CUT OFF LISTS. 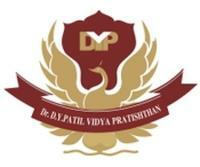 THE CUTT OFF IS 90% AT Dr. DY Patil Arts Science and Commerce College. DURING MY B COM COURSE I HAD GIVEN CAT AND SNAP EXAM FOR MBA. The fees is very less. It is Less than Rs 25,000 per year. As I am a student of bachelors of science and that too microbiology, the faculty is very good and experienced.